WOW, what a year! While I wasn’t very good at maintaining the blog, behind the scenes I was having a fantastic year. In fact, 2013 was hands-down the most amazing year of my life. 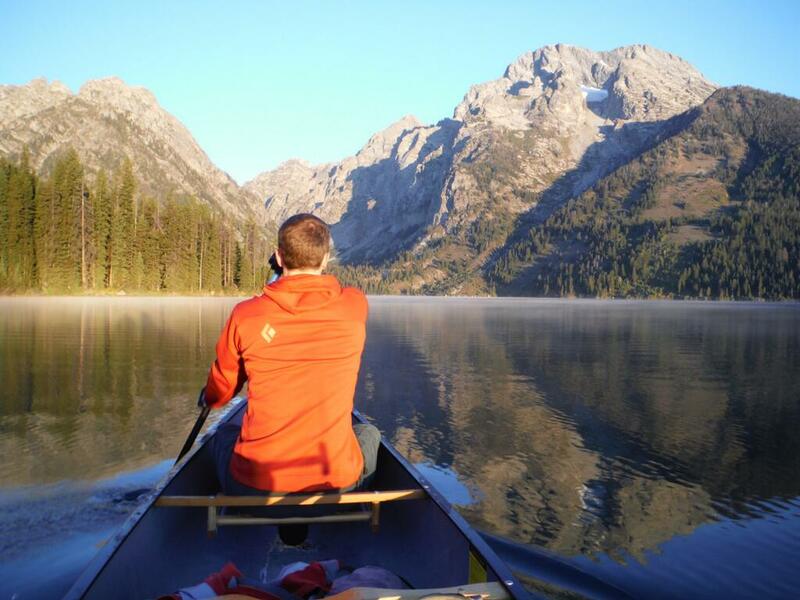 There were great runs, grand adventures, international travel, an incredible Fall in the Wasatch, trips to the Tetons, clean energy work, a handful of fun design/home projects, etc. 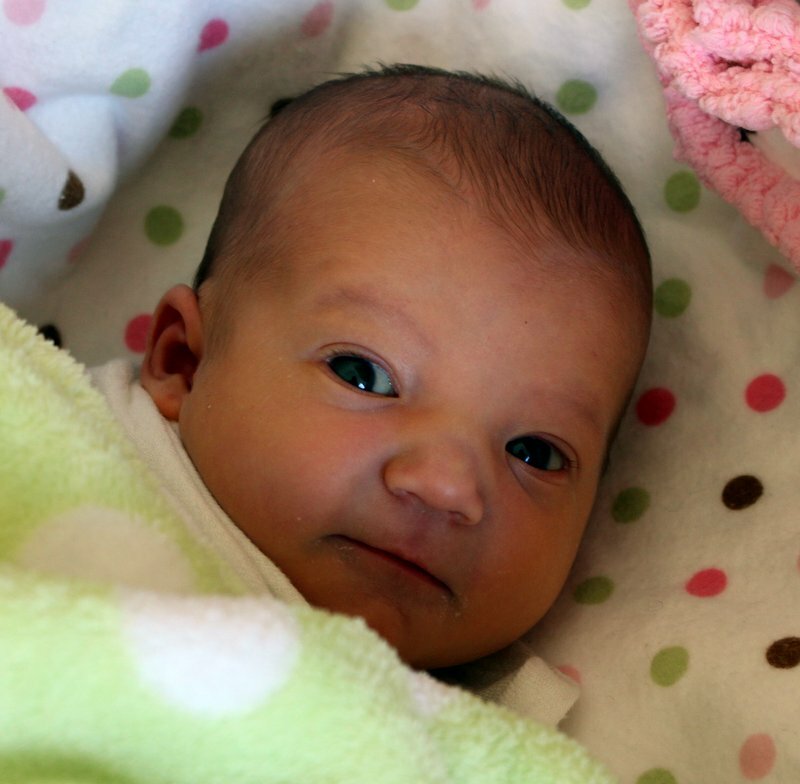 But the climax came at the end of December when our baby Phoebe was born. This write-up is meant to be a quick summary of the highlights of 2013. Most of the month was spent working and and trying to get ready for this year’s Running Up For Air challenge (which took place in March). 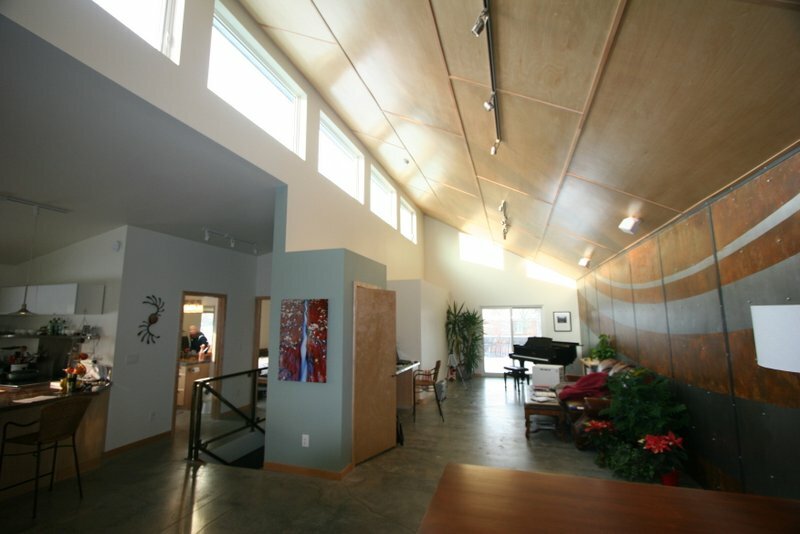 Our house was featured on City Home Collective in a fun article written by Corigan Kushma. Mindy and I took a very unique trip to New York City, where I received an award for “2012 Engineer of the Year” at the company I work for. We had a blast running around Manhattan Island, eating extremely well, seeing several plays (Wicked, Avenue Q), visiting museums, etc. I never realized how much fun I could have in a big city! I have come to love this event. 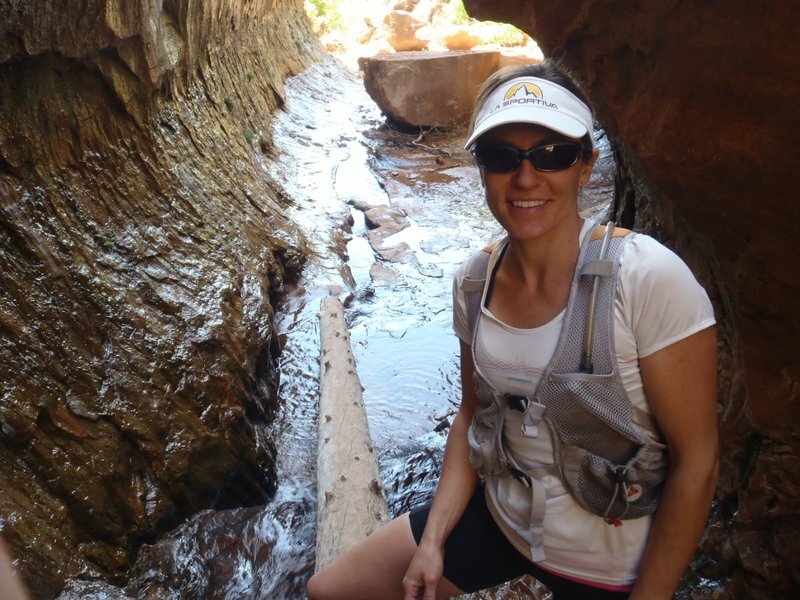 It is the most raw organized mountain challenge in the lower 48 states. I went into it this year’s event super-fit, focused, and excited. All was going incredibly until I got lost in a down-pour and thick fog, which quickly shifted things into a bit of a survival contest. After I eventually figured out where I was, I slogged back into camp some 7 hrs late. After a bit of re-grouping I went out to finish a 3rd lap, good for a “fun run” in just under 36 hrs. In recent online dialogue regarding comparisons between Barkley and silly events such as the Death Races, Gary Cantrell had this to say about it all, which beautifully captures why I’m drawn to Barkley. 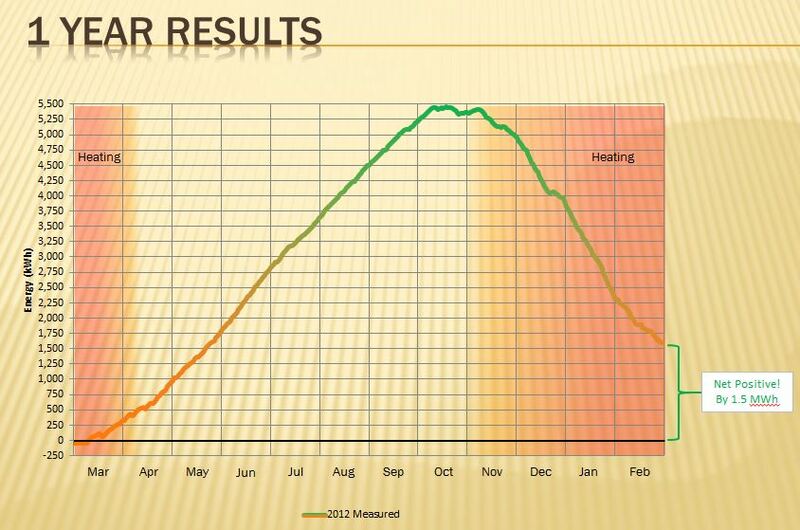 On the 25th, I gave a presentation on Net-Positive Home Building, sponsored by Utah Clean Energy and hosted at the Episcopal Diocese of Utah. This was so much fun for me. I loved the process of pulling together a polished presentation and sharing my story with a diverse audience of builders, architects, home owners, etc. 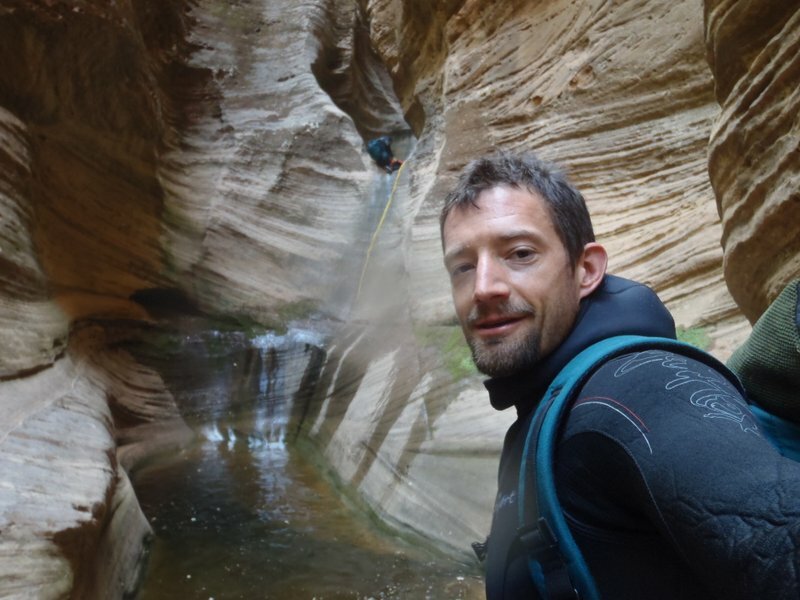 I had been scheming a new route in Zion called the “Zironman” that traversed the park using the most interesting route I could devise, connecting classic canyons, iconic peaks, and the least amount of established trail possible. 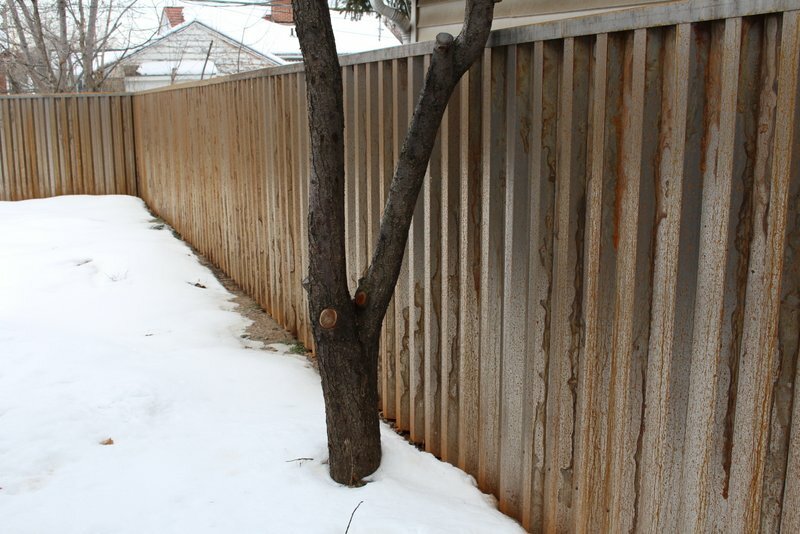 In 2011 Ryan, Buzz and I did an abbreviated version of it in 21 hrs, which wet our appetite. I was SO happy that we returned in 2013 with the right amount of planning and preparation to pull it off (in 28 hrs and 2 minutes). 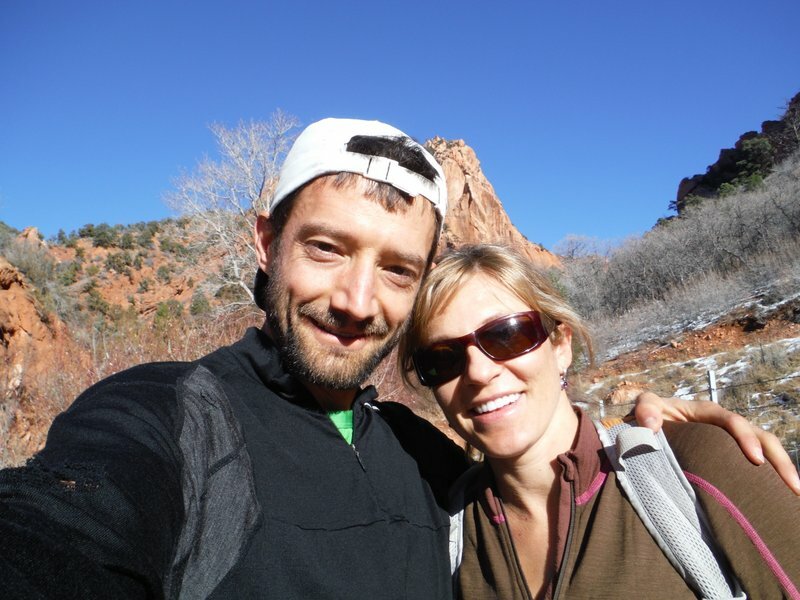 Buzz did a great write-up here, Meghan Hicks did a nice story in the Utah Adventure Journal, and I wrote a few quick thoughts. And, some photos here. This was an incredible adventure in my favorite place with two fantastic friends. One weekend after our 28 hr Zironman Adventure I headed up to Pocatello to run the P50. While my legs weren’t working very well, I had a blast finally running the course that Ryan and I had created and hosted for four years. Luke (new and improved Race Director) did a perfect job with the event and it is always such a treat to see so many friendly faces. Pocatello has a great running community. 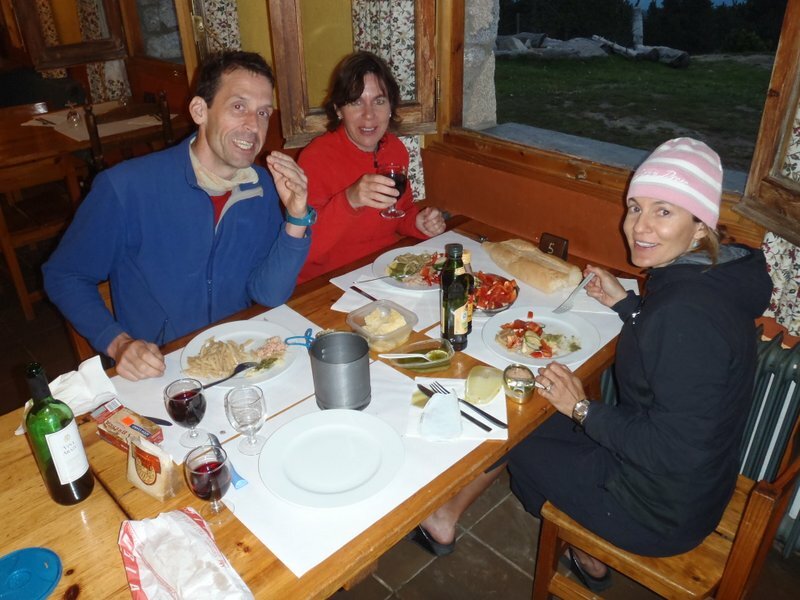 Mindy and I went to northern Spain and Andorra for 2.5 weeks in what turned out to be an insanely fun trip. We spent most of our time in the Cadi Moixero Natural Park and surrounding areas and played hard nearly every single day. Our friends Mig and Nicole from the Holland, graciously showed us around and joined us for several adventures. We were hooked on the area and would go back in a heart-beat. Refugi Cap Del Rec with Mig and Nicole. 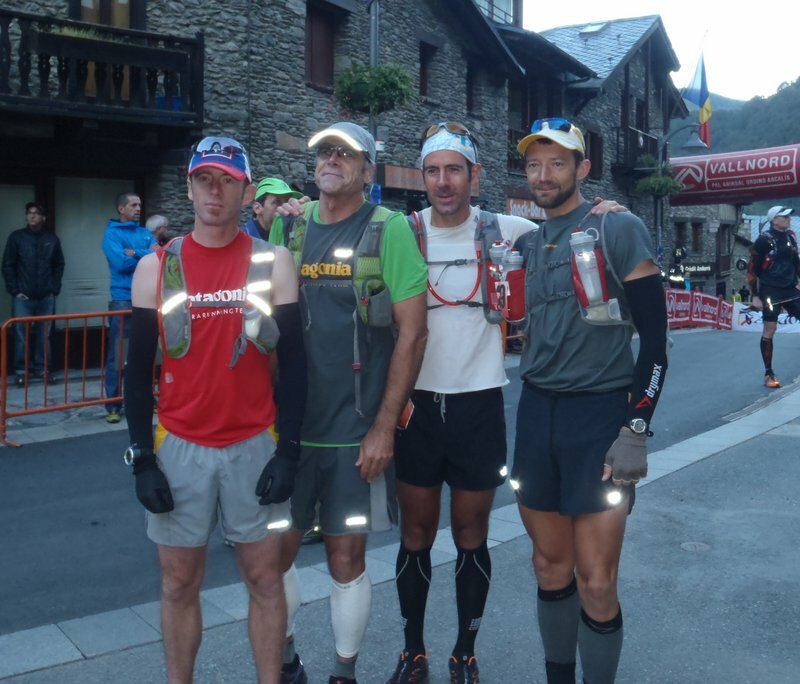 The trip culminated with running the Ronda dels cims race, some 110 miles and 40kft(?) 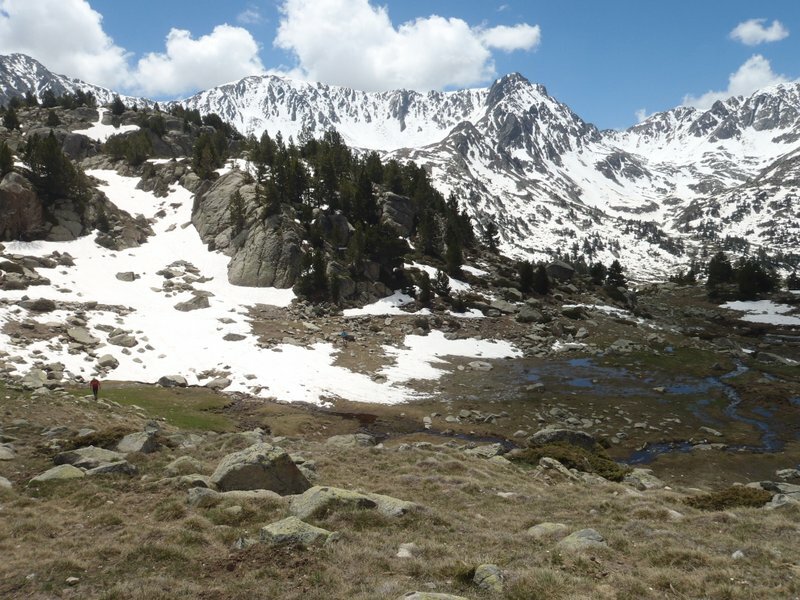 of gain in the beautiful mountains of Andorra. I was fortunate enough to run the entire course with two of the best guys I know, Ben Lewis and Ty Draney. Finishing as a trio we took 7th place. The course was stunning and we had every type of weather. It was beautiful and surreal. Ben’s write-up here. Talk Ultra Interview (starts @ 1:26:18 contrary to the 1:25:04 listed). Also, here is a great video of the race. 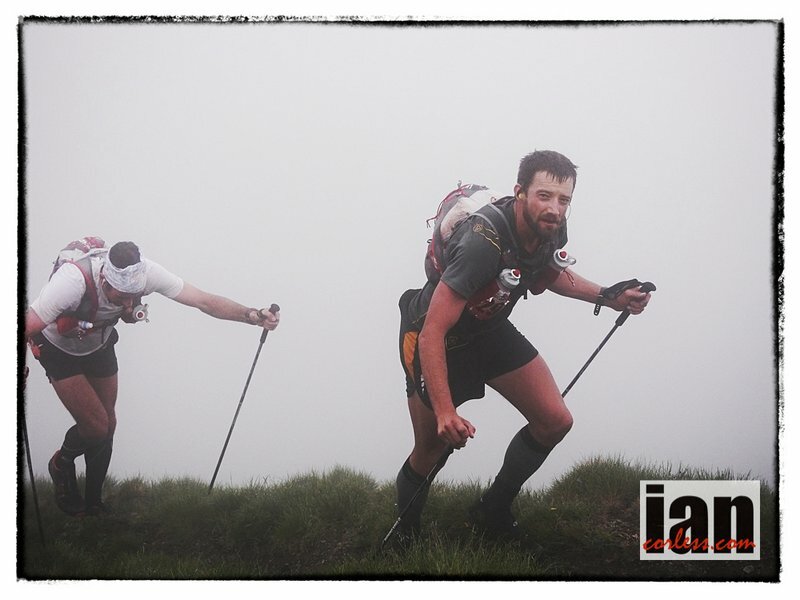 Ben and I slogging up one of the big climbs of the race. The worlds best slog, especially when you’re tired. 🙂 I love Hardrock and always consider myself fortunate when I get to participate in it. 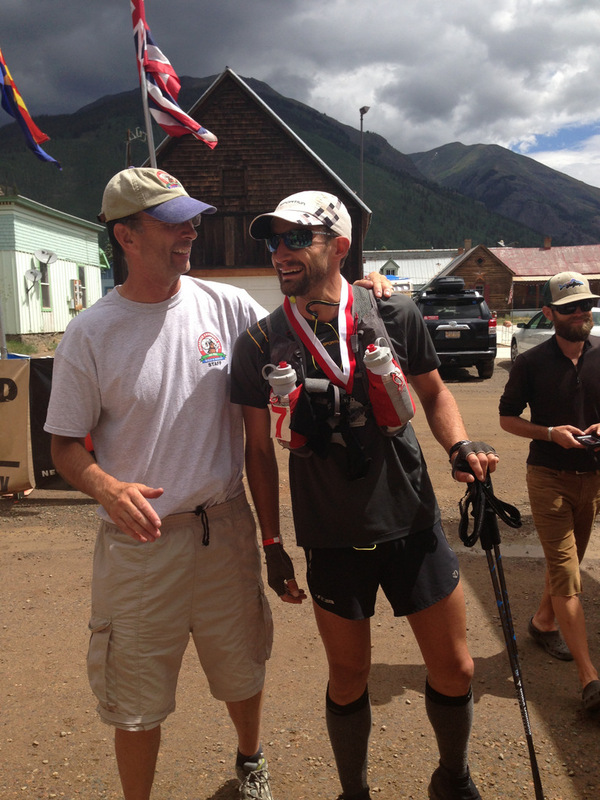 Battled out another finish on tired legs and managed to finish in 29hrs 32 min, my 8th time finishing. This one hurt so good. 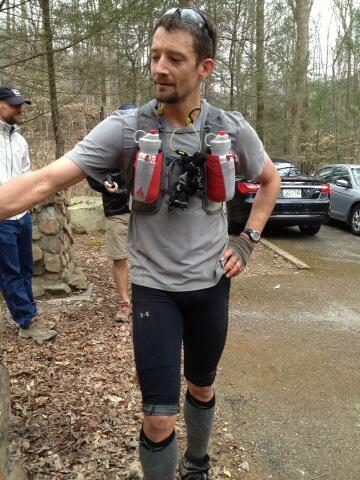 Ryan McDermott paced me for the final 27 miles, which made it extra fun. Seeing Dale at the finish line is always awesome. 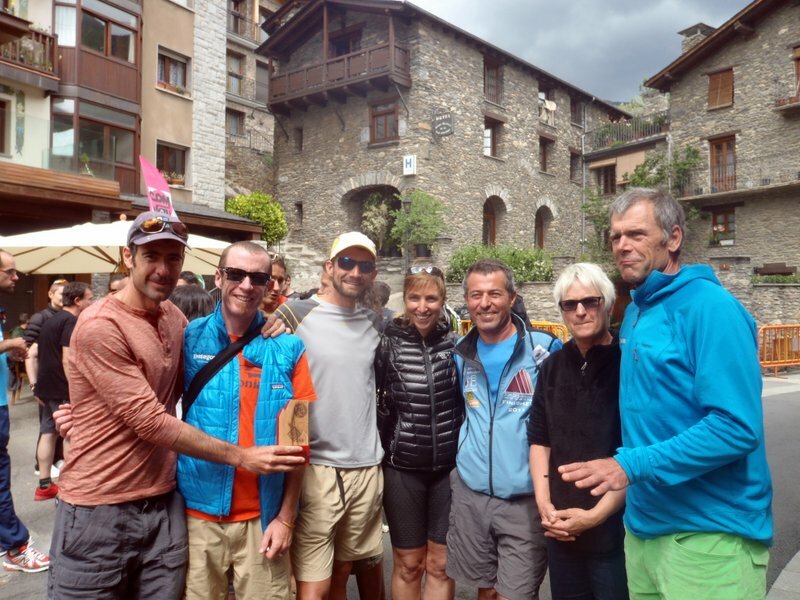 Speedgoat – Did the timing again for Karl, which is always fun. Amazingly fast field, I was very happy to be on the sidelines. Spoke alongside Utah Clean Energy at the Utah Capitol building about air pollution and the roll electric cars can play in improving it. 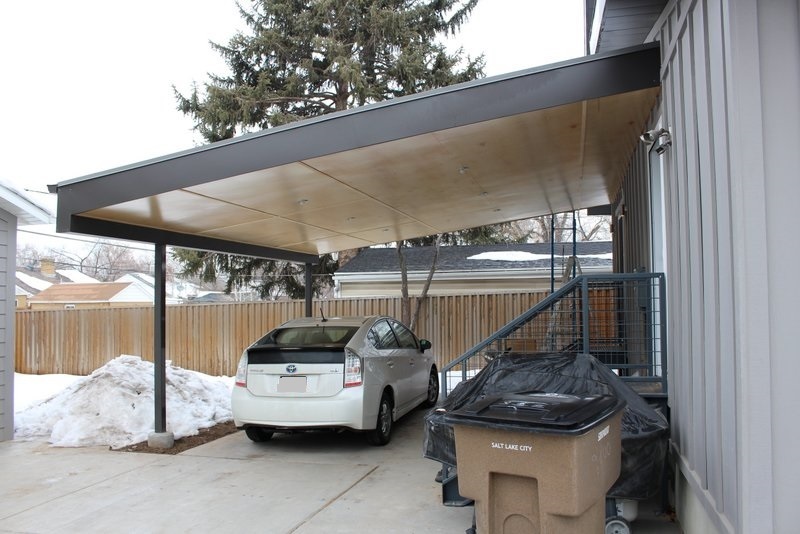 Ultimately the Utah Public Service Commission modified a tariff to clarify that “Electric Vehicle (EV) Battery Charging Service is Not Considered Resale of Electricity” which will enable local businesses to install charging stations and sell power to EV drivers. 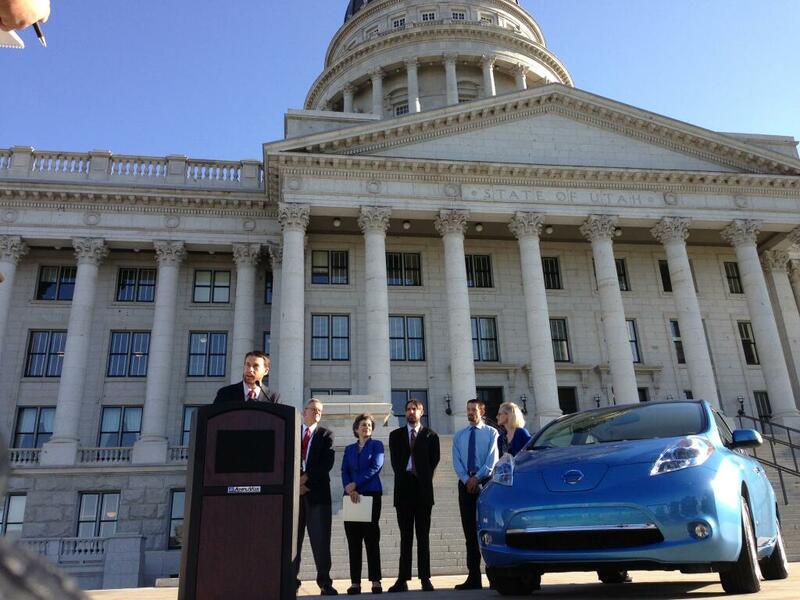 Speaking at the Utah Capitol building about EVs. Had Fantastic trip to the Tetons. Ran Paintbrush-Cascade, Granite to Coal Creek, and the Grand Teton with Ty Draney and Luke Nelson. Pictures here. 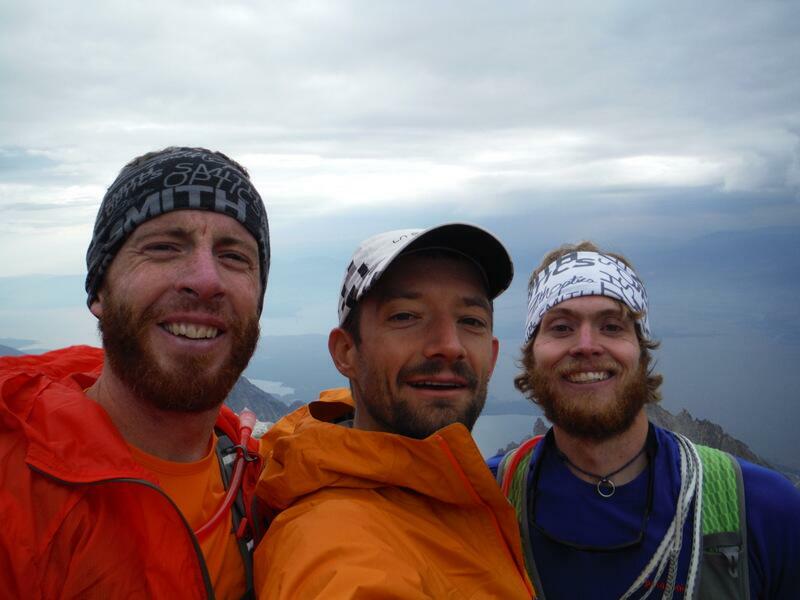 On top of the Grand Teton with buds Ty Draney and Luke Nelson just before a rainstorm hit. 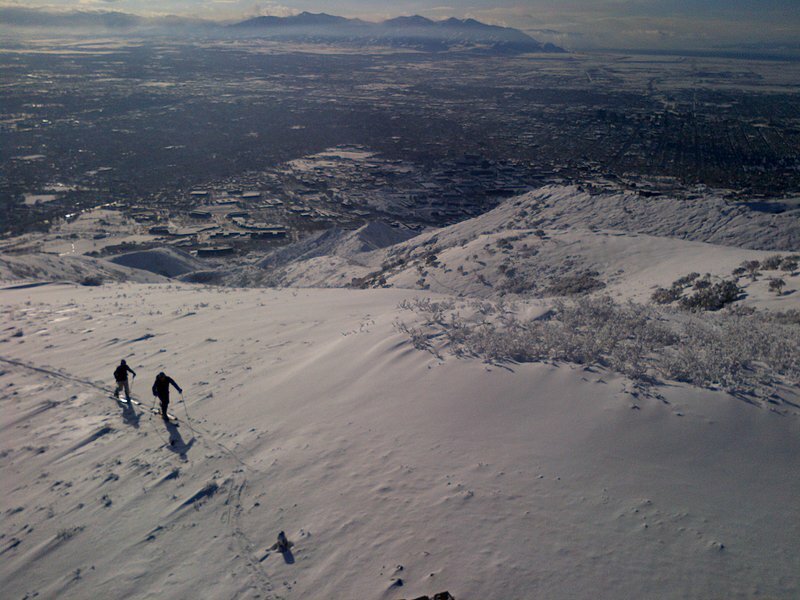 Another fun jaunt at the Wasatch 100. The combination of heat right from the start, a perfect evening where I was joined by my co-worker Dave Ellis, followed by a fun solo run into the night where I felt stellar for the 5 miles out of Brighton followed by feeling absolutely terrible to the finish, made for a classic WF100 experience. The new finish wasn’t my favorite, but I fortunately got to do it at night. The intense rain-storm just during the awards ceremony was outstanding. Cub-Scout Solar Racecar Derby – Hosted the 2nd annual cub scout solar-powered race-car derby. 🙂 Not a big group this year, but I have fun demonstrating the power of the sun to the kids. Tetons – Mt. Moran Direct South Buttress – My bro-in-law Brendan and I headed to the Tetons to climb the Direct South Buttress. Brendan and I used to climb together tons so it always brings back a wave of great memories to be with him. We’ve climbed the Nose of El Cap together, Half Dome, climbed in New Zealand, Spain, France, Thailand, etc. He’s a 5.14 climber, ace-Engineer, incredible father (to my nephew), and super husband (to my sister). Could you think of a better guy to spend time with? Me neither. Presented to a group of students at the PCCAPS in Park City, Utah. This is a outstanding program for high-school students. 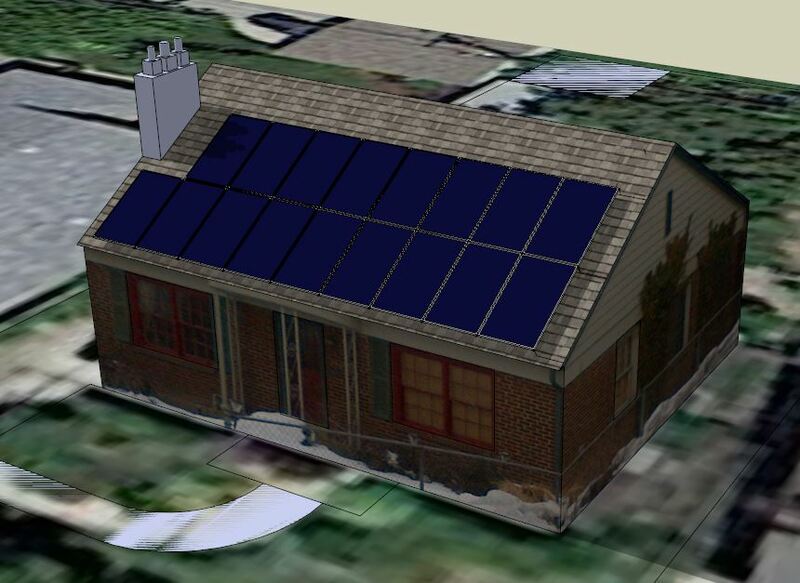 I spoke about solar energy and its role in architecture in an effort to help the students who are working on a sustainable affordable housing unit that will be built in Park City. 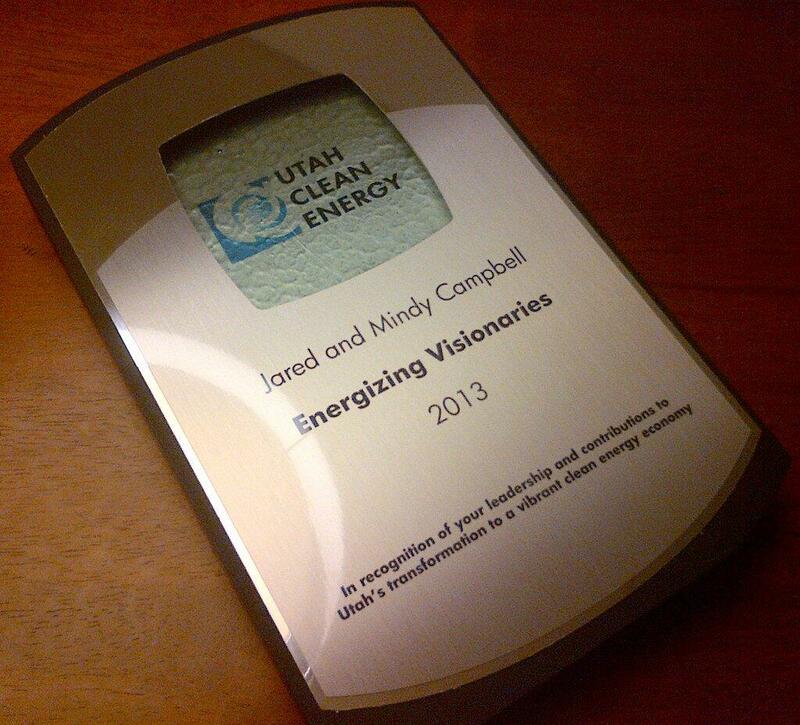 Mindy and I received an “Energizing Visionaries” award at a Utah Clean Energy banquet on November 13th. We were extremely flattered by this and honored to be associated with such a great organization. Ran the 5-peak linkup (Pine Valley, Northgate E&W, and N&S Guardian Angels) in 3:42. One of the finest routes in the world and I shaved 21 minutes off my springtime effort. Brent, Emily and I did the Deertrap (S. ridge), Great White Thrown (GWT), down Hidden Canyon route, exiting in cold/dark conditions. 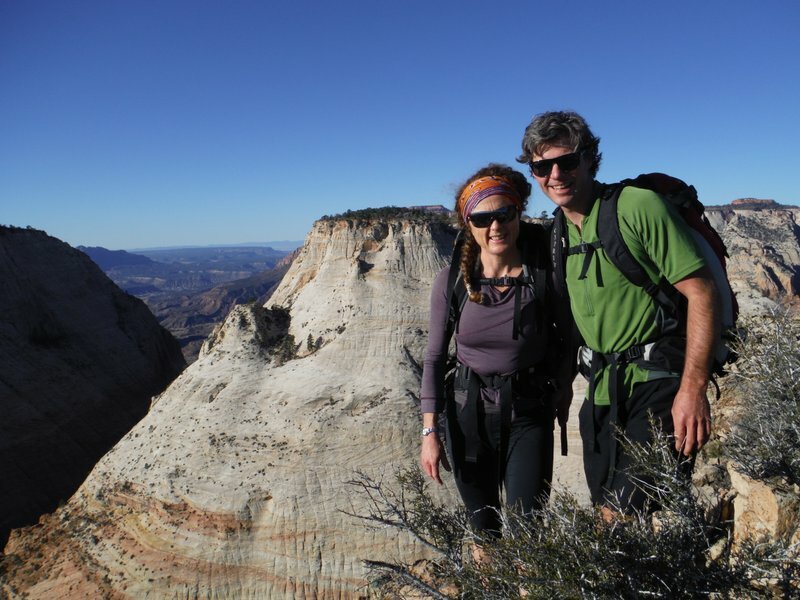 Two of my favorite people in the world on one of my favorite routes in Zion. Pictures here. 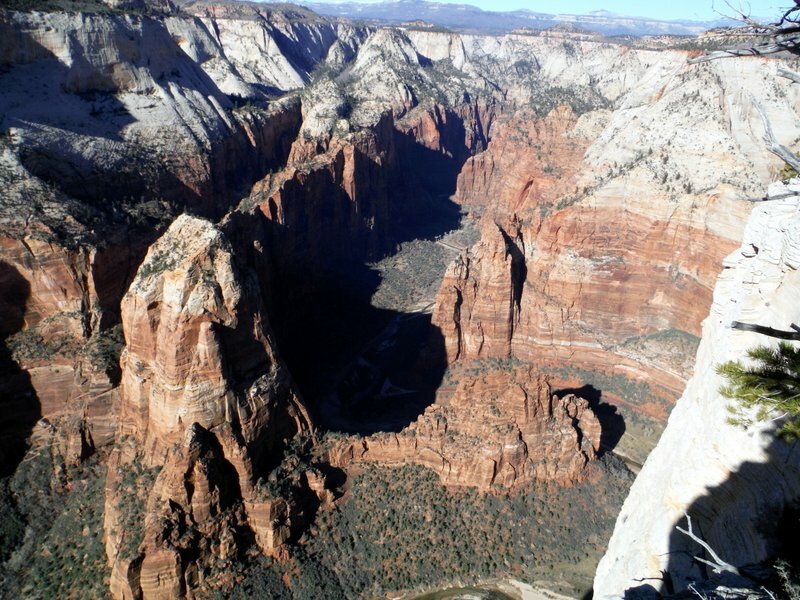 Unique view from the top of Great White Throne, looking down on Angels Landing. 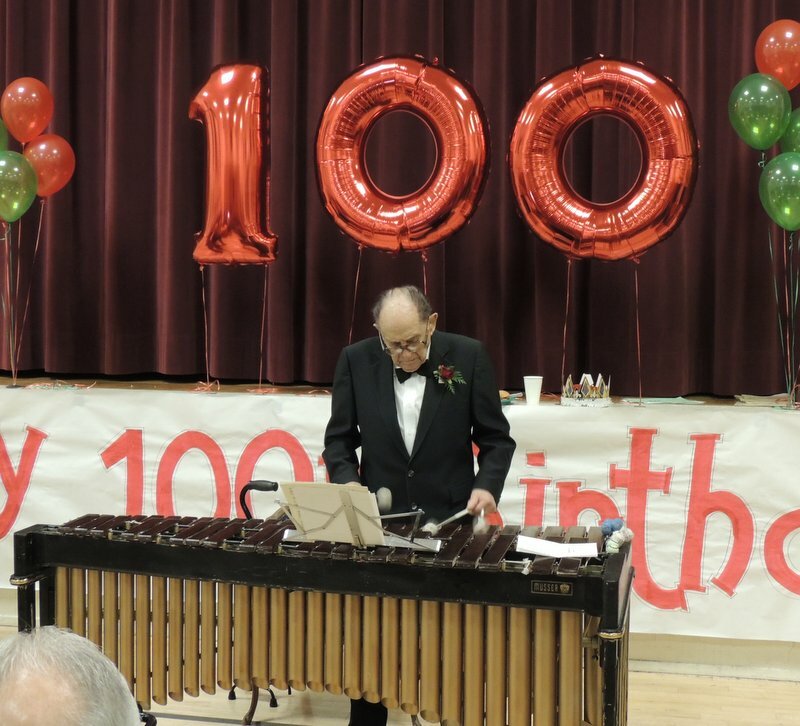 My grandpa, Lowell Hicks, turned 100 yeas old this year! He is such an amazing guy and is still playing marimba and piano. KSL did a nice story on him as well as the Desert News. Also, check out these youtube videos of him (Flight of the Bumblebee @ 96 years old, and Chopsticks @ 98). 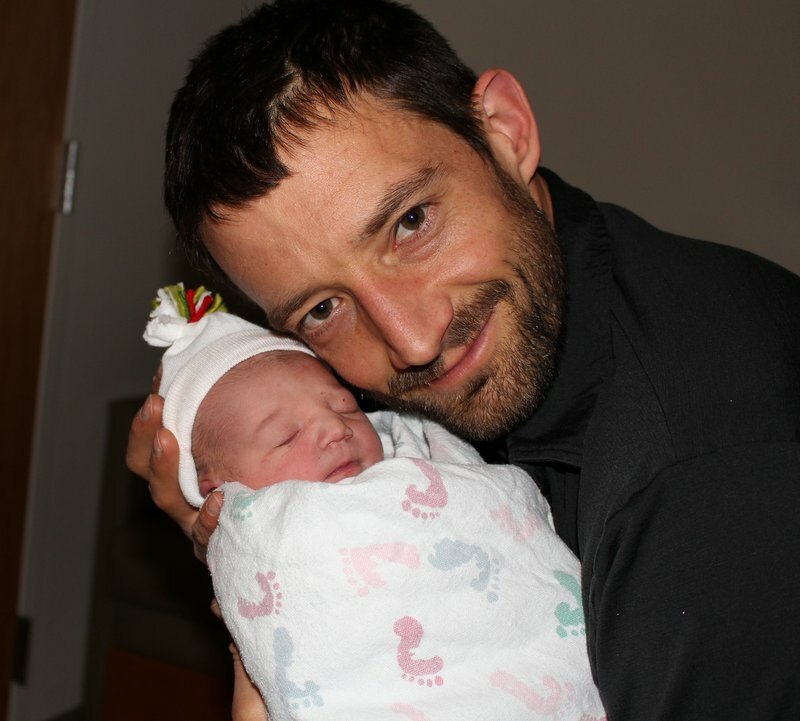 But… the best thing that happened to me in 2013 was that I became a new father. Mindy and I couldn’t be happier about this next chapter in life with our daughter Phoebe! Mindy blew my mind with the entire birthing process. She went 100% natural and re-defined strength and control for me. I’ve always been drawn to her because of how amazing she is, but observing the pregnancy and birth solidified her as my all-time hero. I love her and our beautiful baby. 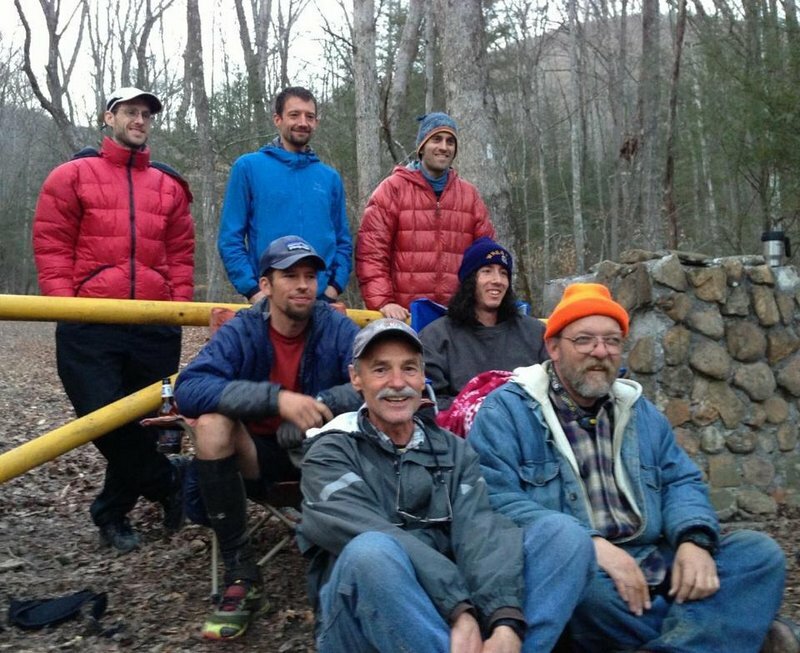 I do not create many responses, however after reading a few of the responses on this page 2013 – A ReCap of an Incredible Year | Jared Campbell’s Blog. Is it simply me or does it appear like a few of the responses appear like they are written by brain dead visitors? Congrats on a righteous year. 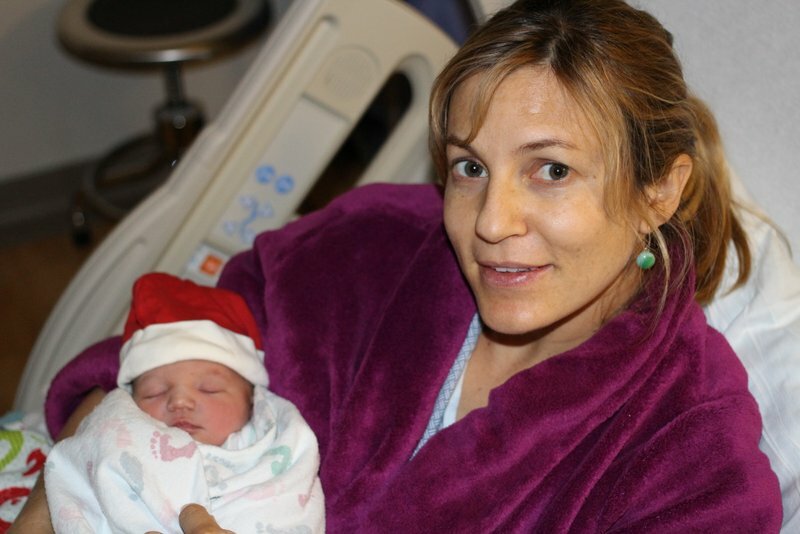 And super congrats to you and Mindy on your new little girl! I love checking in on your site occasionally- I’m always inspired. All the best in this new year! Privileged to have been a part of a couple of these (many) adventures this year Jared. You remain a true inspiration. Here’s to 2015. Hi Cameron, I just made a quick post about this year’s Running Up For Air event, which will be on March 1st. Will we see you there? 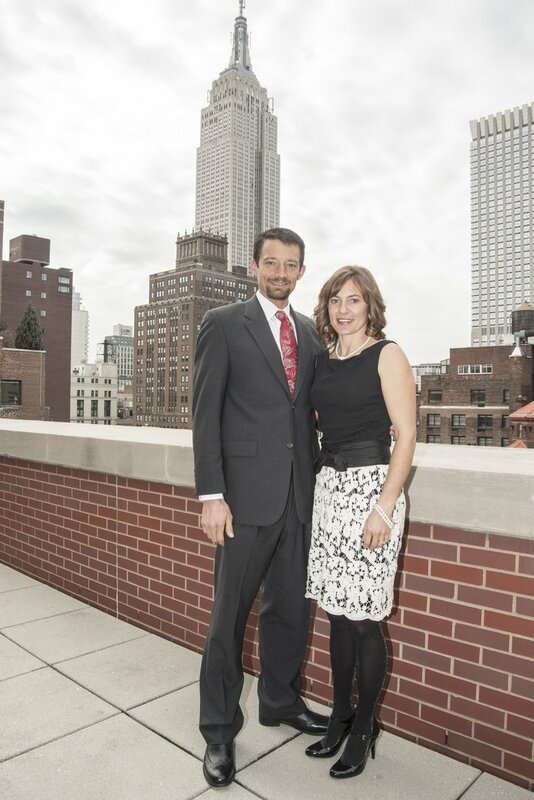 Laura and I are so impressed the Campbell’s accomplishments…especially little Phoebe! 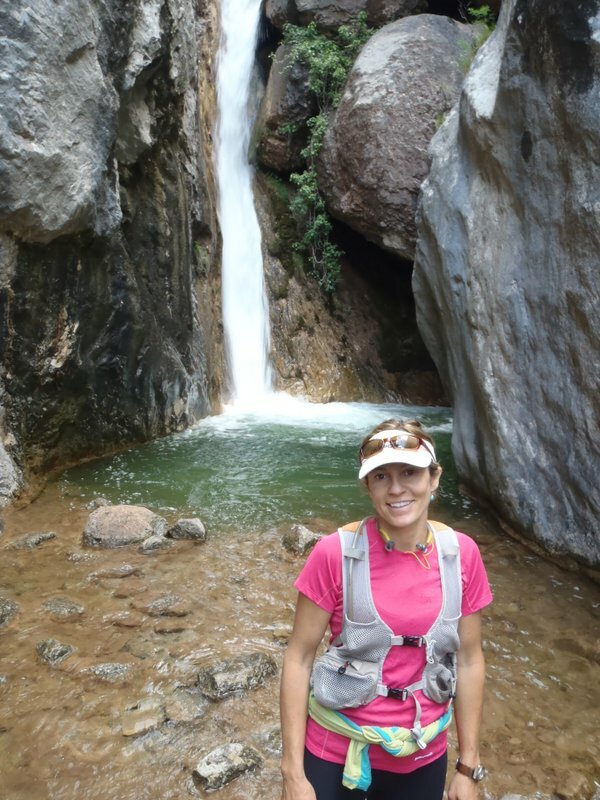 First I wanted to thank you for writing about your outdoor adventures. I always find them fascinating and they inspire me to try/do more. I am curious if you use any supplements to help aid in recovery. I imagine you don’t sleep much, since you maintain a pretty aggressive personal and professional schedule. I am trying to get down to about 5 – 5.5 hrs per night, and would like any advantage my body can get. Thanks, take care and I look forward to reading about your 2014 adventures. Ha. Well something you’re doing must work. Appreciate your input. Good luck in 2014. Wow! Amazing year of running, advocacy, and the greatest adventure of all…parenting. Congrats Jared! Incredible year, Jared! 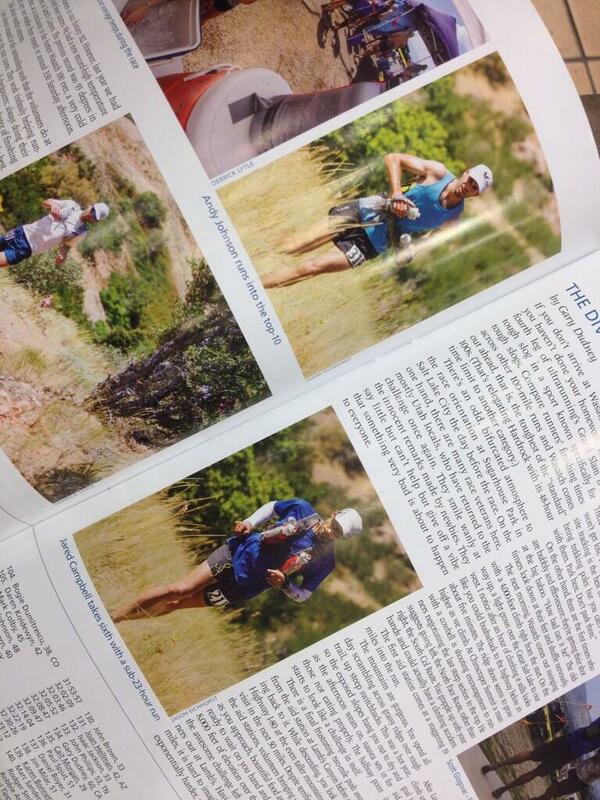 Honored to be included in this post (snapped the pic of you in ultra running mag). Most importantly, huge congrats on becoming a father! Excited for you and your families 2014! Cheers! Jared, it’s mind blowing how many amazing things you packed into one year. For many, any one of those things would be a lifetime achievement. Congrats especially on becoming a father. Jared, sounds like a fun year. And congrats on Phoebe to both of you. You’ll love it. Beautiful! I thoroughly enjoyed reading about your amazing year. Love you guys and little Phoebe! Amazing stuff my friend. Here’s to more adventures in 2014 and beyond. If it sounds like maybe a bad (and by bad I mean good) idea in the mountains you have my number. Awesome year and an awesome post. wow! I am in tears with so much joy and admiration for you both!